It depends on many factors, such as inside and outside temperature, carpet fibers, ventilation... - but in general, it should not take more than 24 hours for your carpets to be completely dry. Depending on the type of carpet, it could be dry again in as little as 4-6 hours! How long does it take to dry and how often should it be cleaned professionally? 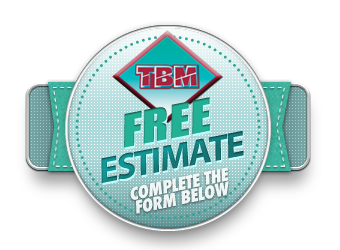 We recommend having your upholstery cleaned every 1 - 2 years, depending on how often you use your furniture. Upholstery dries a lot faster than carpet, so don't worry - you can still watch TV in your favorite recliner the same day! Upholstery will dry withing about 2 - 3 hours. If protector is applied, it can take a bit longer, up to 3 - 4 hours. The industry standard is 3-5 days - and it is essential that the drying cycle starts as soon as possible after the damage occurs! How long does it take for the smell of smoke to disappear after fire/smoke damage? In case of fire and smoke damage it is essential that the clean-up starts as soon as possible, to keep the smoke particles from penetrating any surfaces. We start with a thorough cleaning and wiping of all surfaces and then utilize an ozone machine, that actually splits the smoke molecules. The machine enables us to get into every little nook and cranny, including the inside of receptacles and light switches - and the smell can be gone in as little as 2 days! 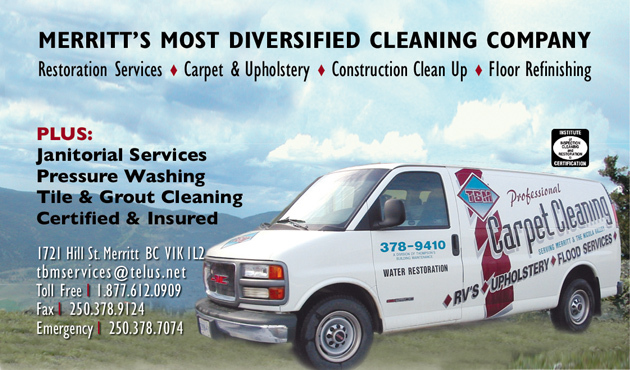 We are Merritt's most diversified cleaning company - prepared to do any job, big or small. home and business look great - inside and out! We constantly look for new ways to offer you great service at great prices - like our new deep freeze cleaning service! It has never been easier to thaw and clean your deep freeze. We get the job done in as little as 30 minutes, without a mess or having to store your frozen items some place else.